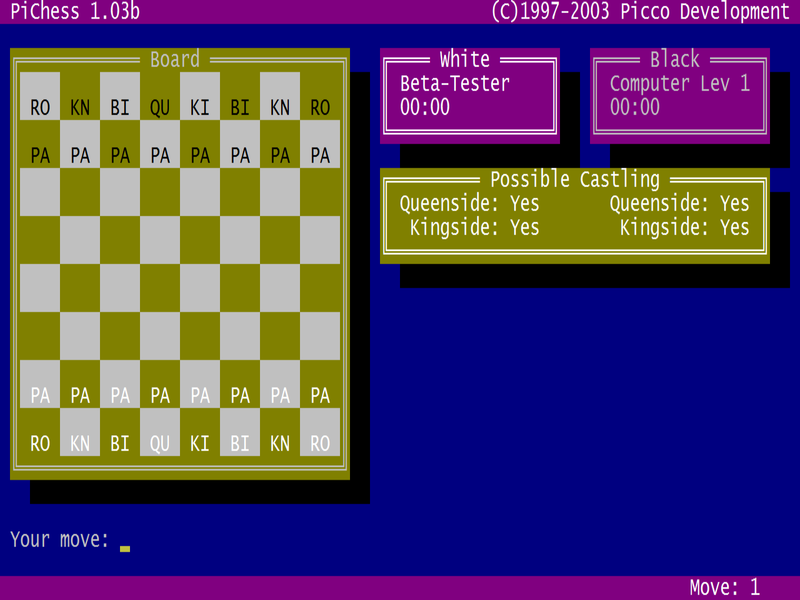 PiChess is my first attempt at making a chess game. 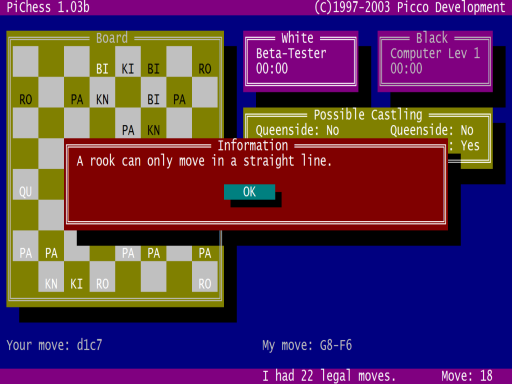 The computer plays absolutely horribly; in fact, it selects a valid move completely at random. It's stupid, I know, but it was the best I could do at the time.